It is Parade Day and with it comes a Nog/Wine Walk and Cider Stroll. 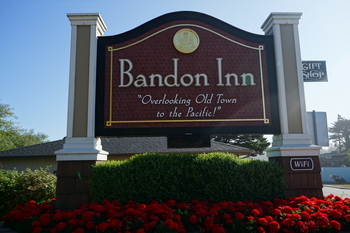 The Bandon Inn will be sampling Oregon wine, hot cider and fresh baked cookies. Their gift shop is having a pre-holiday sale and they are offering complimentary shuttle service nightly to Shore Acres for the Christmas Lights display.